Be a Water Wise gardener and mulch, mulch, mulch! Mulch is like icing on a cake because mulch keeps the soil moist the same way icing keeps a cake moist. Mulch slows evaporation of water from the soil, allowing water to infiltrate the soil efficiently; moderates the soil temperature; and breaks down into nutrients for the plants. 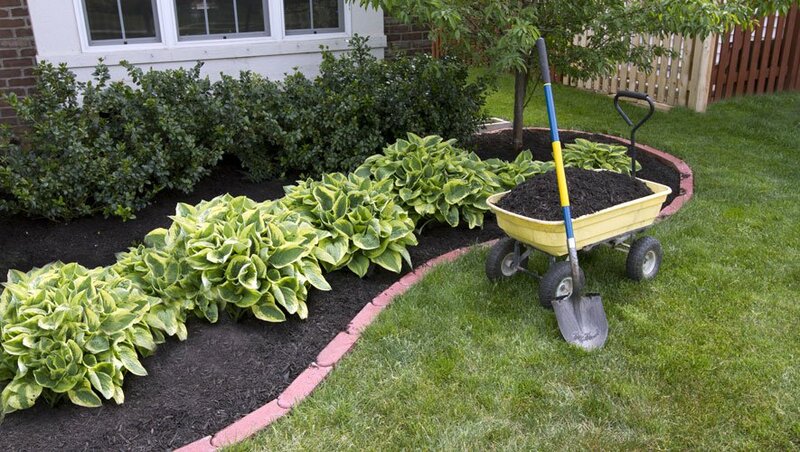 Maintain a 2 to 4-inch mulch layer in all planted beds and containers. If your irrigation system is not working properly, no matter how much you water, the landscape suffers and water is wasted. Check for pipe and valve leaks (indicated by greener faster growing grass), breaks, clogged heads, sprinkler heads not working, misaligned heads, misting versus spraying due to too much pressure, water spraying onto hard surfaces and runoff into the street. High afternoon summer temperatures cause plants to wilt, be off color, drop leaves and/or shrink even if there is significant moisture in the soil. Once the sun sets, the lawn and plants look normal. If in the morning the lawn and plants look like water is required, irrigation is justified. When in doubt, use a long screw driver to test for moisture in the soil. Push the screw driver into the soil (like a toothpick into a cake) to see how much moisture is in the soil. The screwdriver will push easily into moist soil and will not push easily into dry soil.